Today’s Flash Back Friday takes us to Episode 63 from December 2011. Join Jason Hartman and Jonathan Zap, researcher and philosopher, as they explore the psychology behind apocalyptic prophecies. Prophecies of the end times abound all over the world and have for decades upon decades. Search “end times” on the internet and you will find a host of books, websites, blogs, and articles on the subject. You will also find a plethora of speculations as to how it will come about. Where do all of these prophecies originate? In ancient texts? In dreams? Perhaps in the collective of human unconsciousness. Jonathan Zap calls this latter concept the Singularity Archetype, archetypes that help explain death and rebirth, changes that take place in people’s lives, and their motivations. Listen for a deeper understanding of Jonathan’s research at www.HolisticSurvival.com. 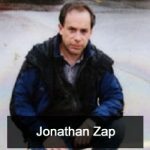 Jonathan Zap grew up in the Bronx, attended the Bronx High School of Science, and graduated from Ursinus College with honors in Philosophy and English, and earned his Masters degree in English from NYU. Jonathan wears many hats. He is a photographer, author, teacher, paranormal researcher, and philosopher. He has written extensively on psychology and contemporary mythology, and he has worked as a staff gemologist and instructor for the Gemological Institute of America. He has also taught high school and college English courses and worked as the Dean of a South Bronx High School, helping troubled youth. He has led inner city kids and other youth on wilderness expeditions to remote desert canyons and to the summit of Mount Ranier. Jonathan has published numerous articles, many of which have been published by Reality Sandwich, essays, and experimental works of fiction and the Zap Oracle. He has also done numerous radio and television shows, including appearances on Coast to Coast AM. He has an extensive background in Jungian psychology, paranormal research, and dream interpretation. He uses the tools of Jungian psychology to study popular culture, contemporary mythology, and dreams.